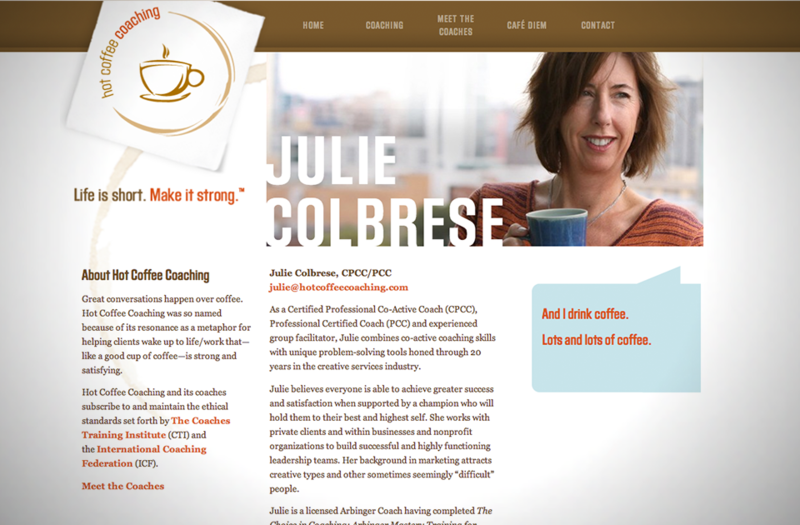 Julie Colbrese and Hot Coffee Coaching are co-active coaches, helping professionals and teams through personal evolution in career, life, and balance. Julie’s also been our coach – we’re huge fans of her process – and we wanted to help them communicate the experience of working with a really good coach. 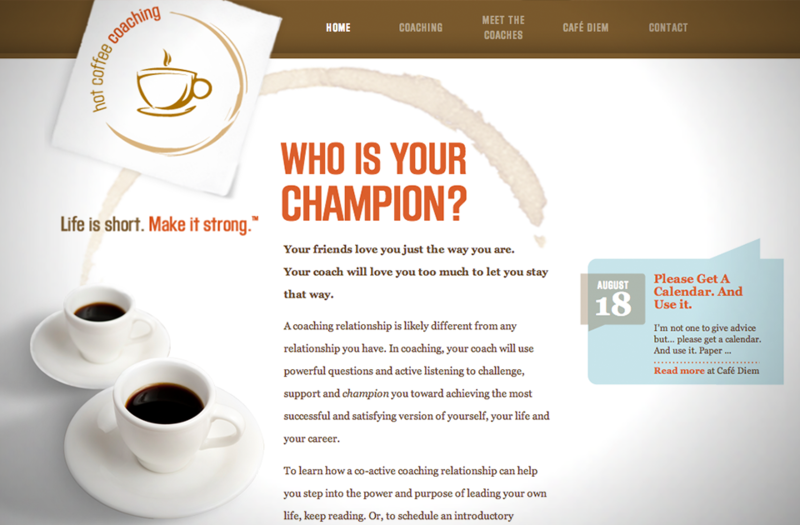 The Hot Coffee Coaching brand demonstrates how short, warm conversations over coffee combined with insight and intuition can empower companies and individuals to break through their limitations. 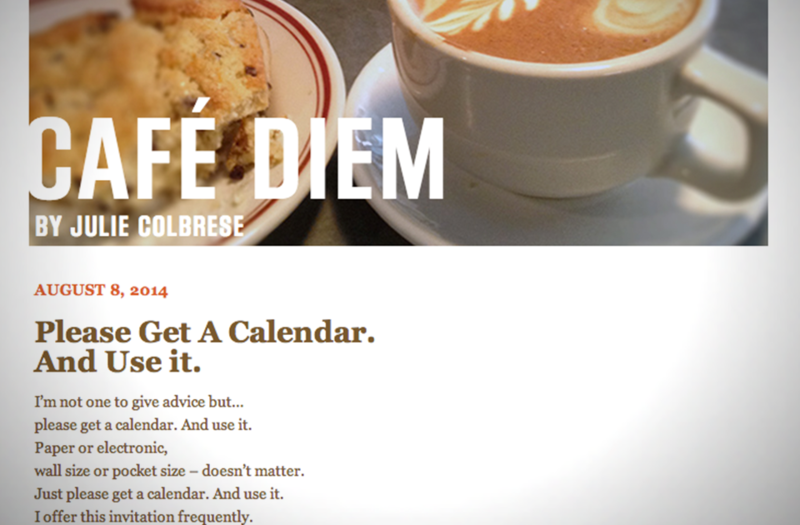 We put together a website that uses accessible and friendly photography and the succinct, often surprising and poetic brand voice of Hot Coffee Coaching. Action shots of the coaches in conversation are interspersed with metaphorical comfort imagery of coffee, and hands in conversation. 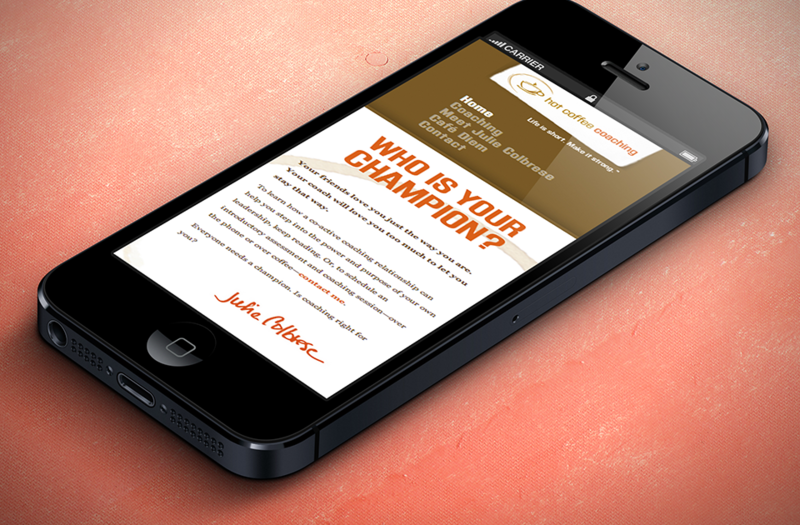 It’s not everyone who is ready to really get to work with a coach, and so we helped Hot Coffee create a targeted Pay Per Click ad campaign and questionnaire that yields a stream of qualified and interested prospects each month, without alienating Hot Coffee’s clients to refer new clients through word of mouth and a sense of warm approachability.